The Trestle Leg Console Table has an ample 24" deep top and a sturdy trestle base. The 4" legs have a simple round turning and are attached with a crossbar for stabilty and strength. 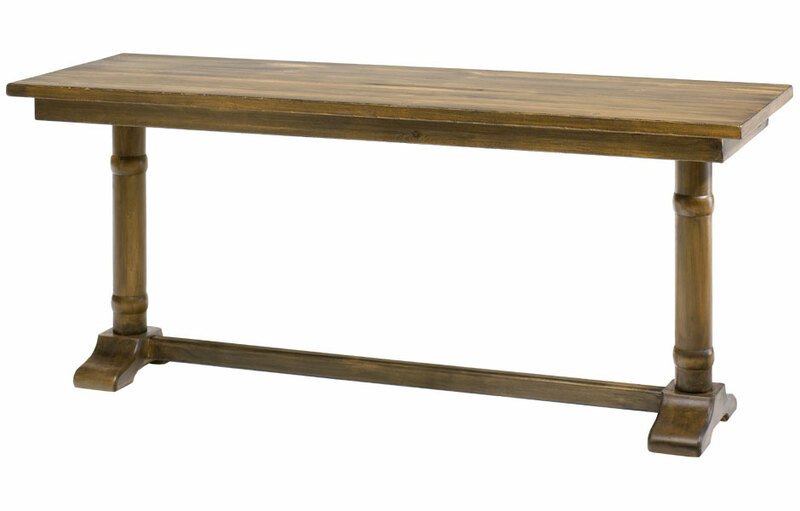 At six feet this table is versatile enough to use in a foyer, hallway, or living area. Long associated with hospitality, this style of table is an ideal occasional table. A trestle base has long been associated with hospitality. 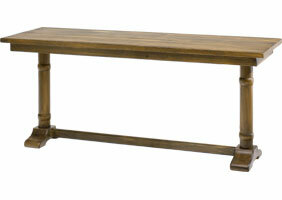 Traditionally, the trestle bases where found on banquet tables to provide optimal room for guests. Today, the trestle base is beloved for it's open, sturdy design without bulky legs. The trestle console table is an ideal sofa table. The generous 24" deep top provides extra depth for lamps and decorative items. The 6ft. 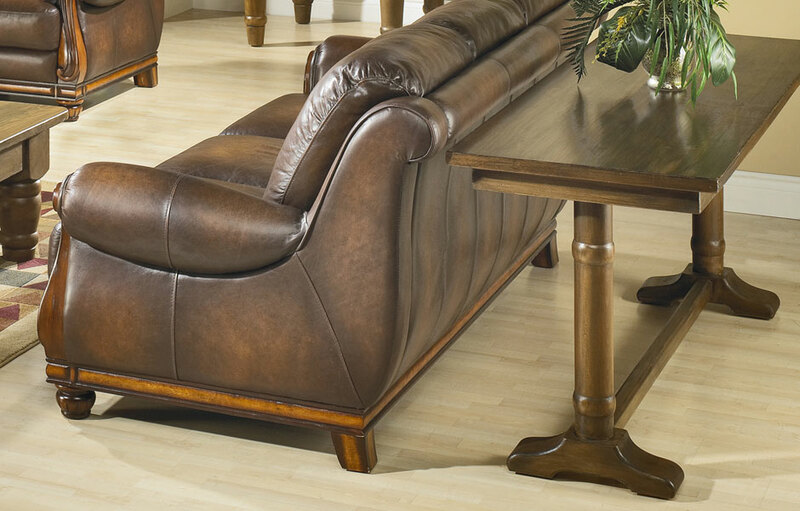 length is wide enough to compliment a large sofa. 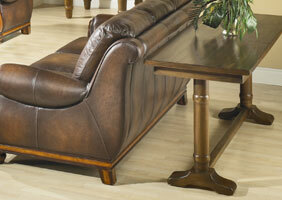 It's traditional design also works well as hallway table or foyer table. The generous depth gives it a versatile design to use as writing table or laptop desk too. The solid wood console table features a thick top with a boxed skirt, large 4" turned trestle bases with round ball turnings, and contoured support feet for an elegant, sturdy design. The thick top table is water-sealed to prevent water rings, and for everyday use. The trestle occasional table can be painted in a classic two-tone finish with a stained top and painted base, or all-over one color finish. The Trestle Base Console Table complements French Country, English Cottage, Farmhouse, Rustic, Transitional and Traditional style decors.